This collection of premières gathers together previously unrecorded choral works by Ralph Vaughan Williams, some unpublished. We have placed the works in a logical order, based on the order of composition but with minor adjustments to group together works with similar forces. Most of them are original compositions by Vaughan Williams, and eight arrangements of traditional tunes are also included. 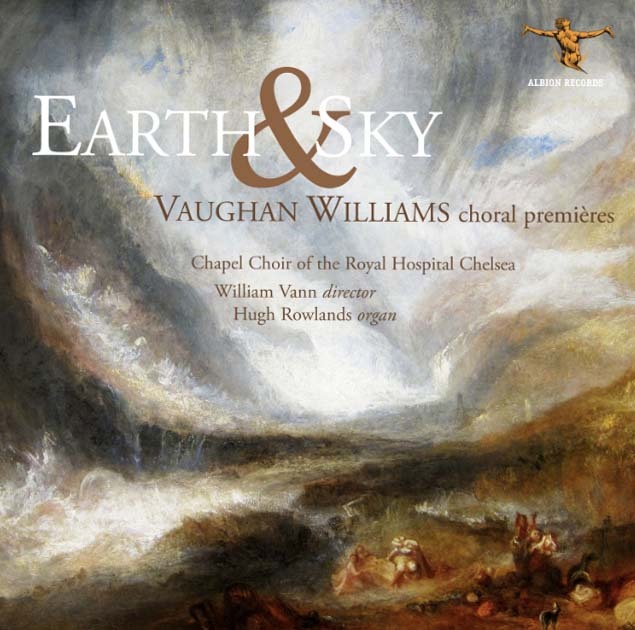 Vaughan Williams seldom repeated himself; just as each of the major works, including symphonies and operas, was a new journey to another unknown region, these shorter choral works all continually explore and innovate. The works in this recording track the composer’s working career from 1896 to 1954 – a span of very nearly 60 years – illustrating a mind that never ceased to generate new ideas and respond to those of others. This is, above all, a varied collection, including salon music, folk song settings, hymns and anthems, patriotic songs and finally Gaelic songs in English translation. …throughout the programme we hear example after example of VW’s melodic gift and empathy for voices – as we know, he could write a cracking unison tune; look no further than For all the Saints. Furthermore, the programme offers an abundance of examples of his fine craftsmanship. This collection valuably fills out our knowledge of VW. …The cause of the music is admirably served by William Vann and his fine choir. … The standard of singing is consistently very high and one thing that pleased me greatly was the choir’s excellent diction. Perhaps most important of all, at all times they engage with the music; the performances are always committed. …Production values are high, too. The sound which producer Andrew Walton and engineer Deborah Spanton have produced is excellent: the choir is always clearly heard and well balanced with the church’s acoustic used intelligently. The organ has been most successfully recorded. All the texts are provided and John Francis has written an excellent and highly informative set of notes. Andrew McGregor and Jeremy Summerly discuss the disc. In O Praise the Lord of Heaven, for double choir and semi-chorus, conductor William Vann secures a vibrantly projected performance from his 20 singers. The hymn Little Cloister brings inspiriting unison singing from the consistently fine sopranos. The concluding Three Gaelic Songs show the Royal Hospital choir at its finest – sensitive and heartfelt in the more reflective outer songs, perky and incisive in the rousing Come Let Us Gather Cockles. This and the companion disc of RVW Christmas carol settings (also reviewed in this issue) are my first exposure to the Chapel Choir of the Royal Hospital Chelsea, an institution established by Charles II in 1682 for the care of war veterans. It is a magnificent ensemble, truly one of the best choral groups I’ve ever heard for vocal blend and clarity of diction, among other musical virtues.